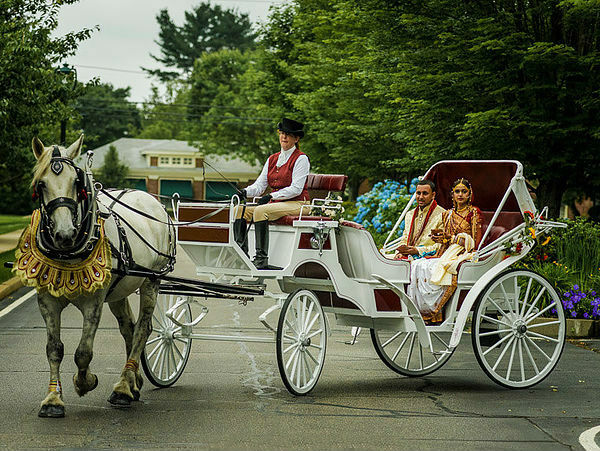 Enter your wedding reception venue in a royal Indian style, on a grand-looking carriage driven by a horse or two. 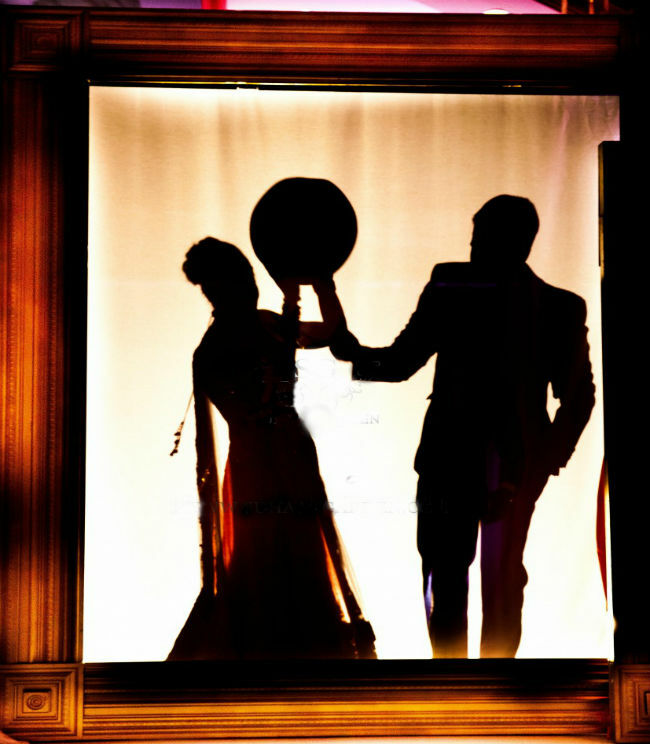 This is sure to make you feel exalted as your entrance would be majestic; the groom would feel like a king escorting his queen to their wedding hall, while the guests are left awestruck. 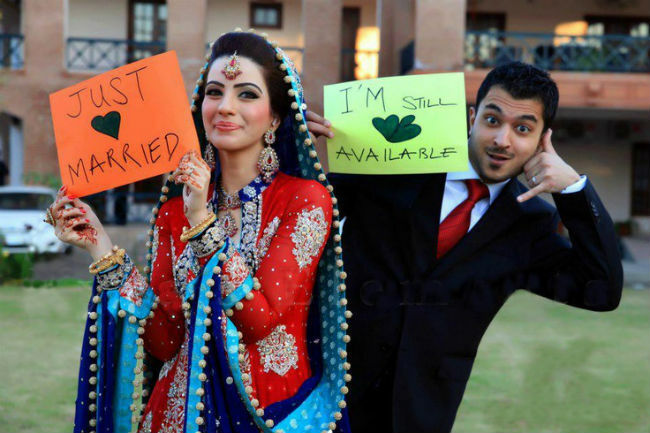 Get a huge, fancy and splendid poster of your pictures or special signs such as ‘Just married’ or, your own personalised message. And tear your way through the card/poster for a fascinating entrance. Have some stunning fireworks lit on the sides of your pathway and, drive your way through them for a spectacular effect. This will leave your guests gaping at you both, with their eyes popping out in sheer amazement. 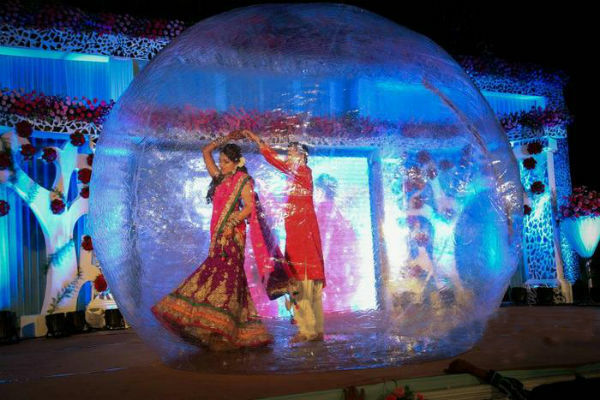 Roll together to your wedding place with your soulmate in a zorbing ball. The experience would not just be extremely fun but also, totally unprecedented and unseen before; making for a breathtakingly stunning sight. Your family and friends can assist you with this. 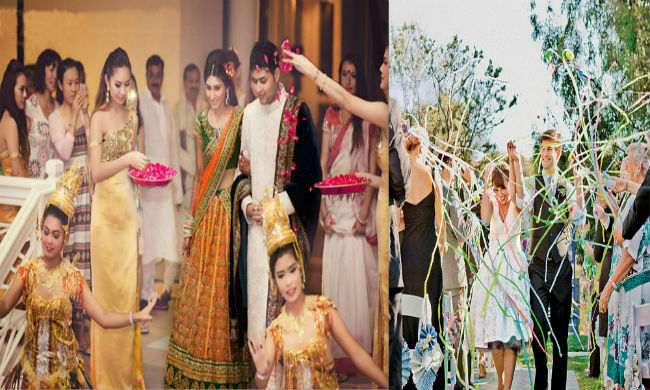 They can make use of some lovely, multi-coloured streamers by fluttering and swinging them onto you and your partner, as you both walk through the aisle. They can also use rose petals or coloured-confetti instead, or, even a combination of all for an unforgettably remarkable effect. 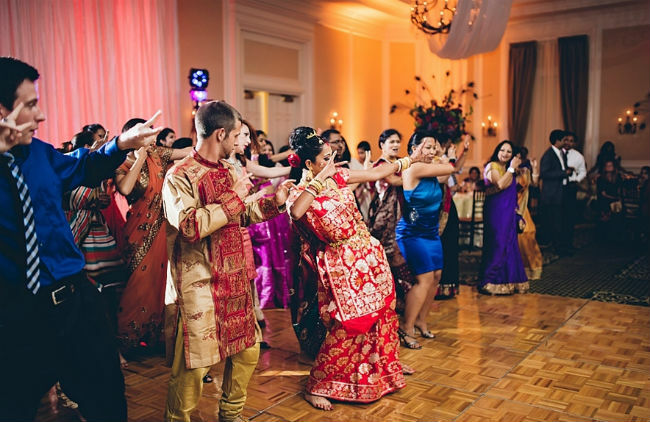 Have a flash mob organised and coordinate with them to plan your magnificent entrance at your wedding place. 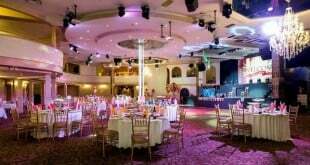 As you enter, dancing along with them to peppy numbers, your guests would be delighted and amazed at the wonderful sight. 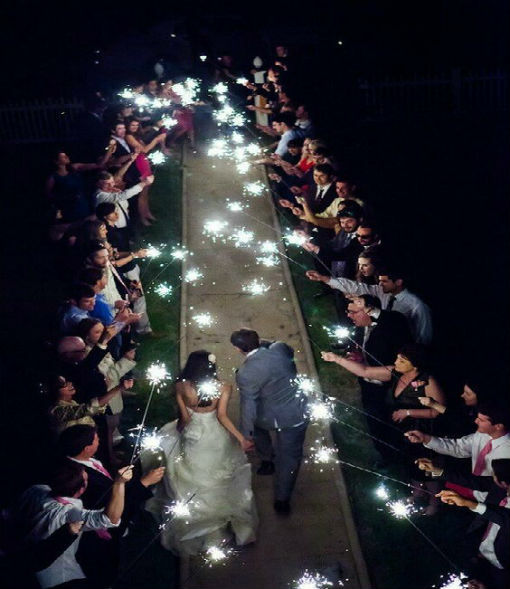 It’s most-definitely one of the classiest ways you can plan your special entrance at your wedding reception. 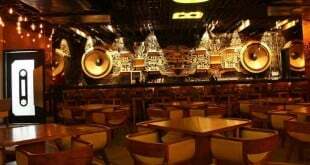 Have a specially designed curtain as your projection screen behind which you jig a little, euphorically with your spouse; right before you come out of it with style and grandeur. 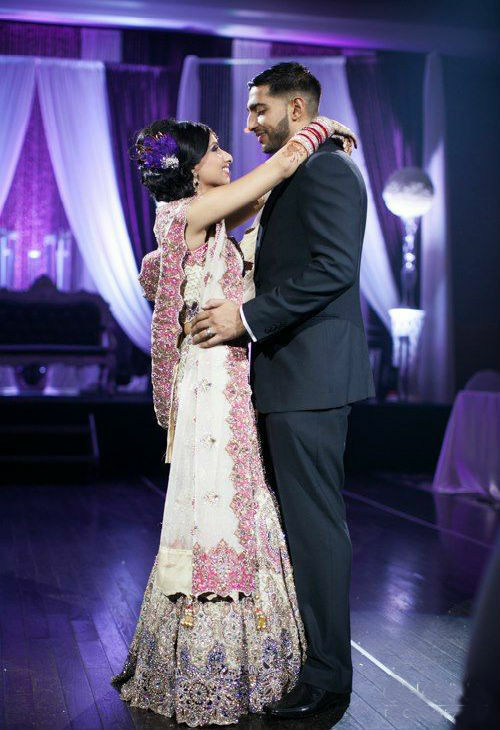 You can plan a special dance performance with your partner and shake a leg together excitedly, while you proceed to the altar/mandap. Rest assured that the whole crowd will be pleased and cheer for you joyously. It’s fun to shock and stun your guests a little sometimes. 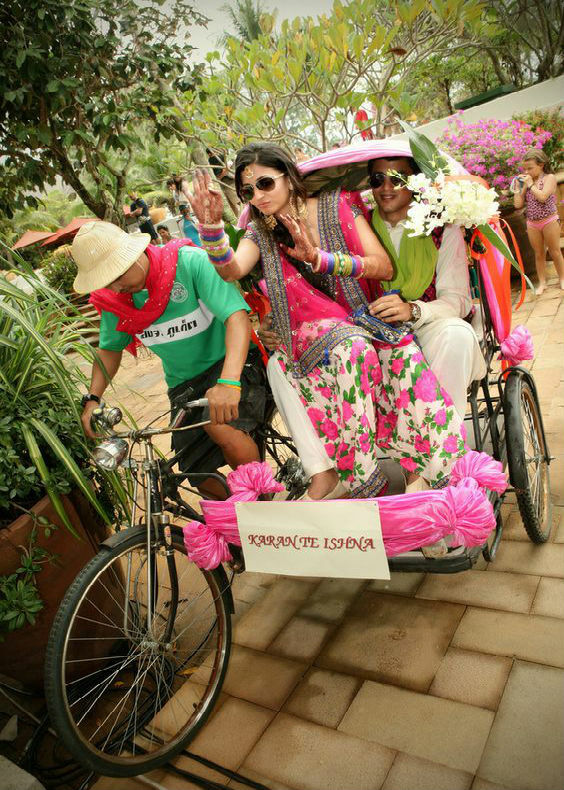 Plan your entrance in an ordinary public transport like an auto, rikshaw or a small lorry that’s done up for the occasion and ride it into your venue. Everyone will love it for sure. For those who want to add a zing of adventure and uniqueness to their appearance, at their biggest life-event. 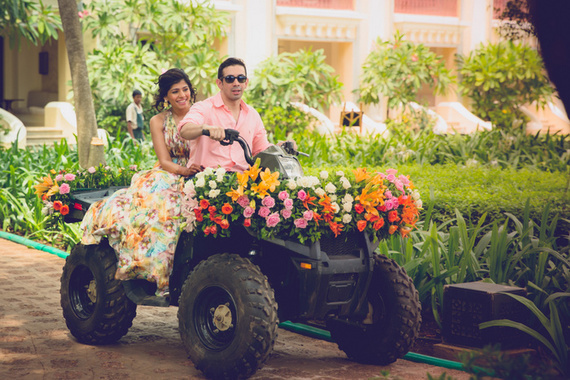 Hire an ATV to hop on and drive to your special setting. 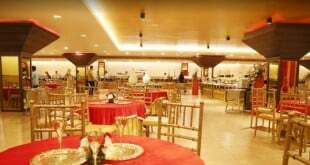 It’s guaranteed that all those attending your function will be flabbergasted. Next Some Cool Catering Ideas for Summer Weddings! Great Post!! 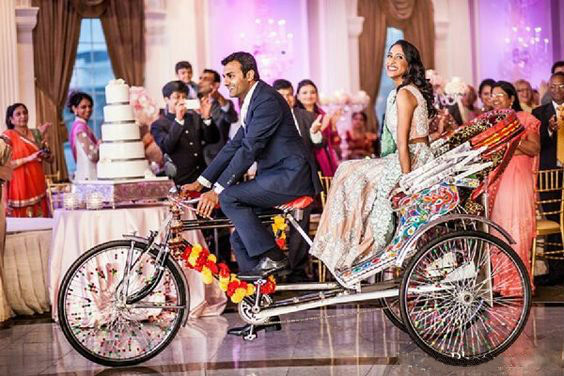 love ATV Entrance style thanks for sharing! !